American Zoetrope (also known as Zoetrope Studios from 1979 until 1990) is a privately run American film studio, centred in San Francisco and founded by Francis Ford Coppola and George Lucas. Opened on December 12, 1969, American Zoetrope was an early adopter of digital filmmaking, including some of the earliest uses of HDTV. The studio has produced not only the films of Coppola (including Apocalypse Now, Bram Stoker's Dracula and Tetro), but also George Lucas's pre-Star Wars films (THX 1138), as well as many others by avant-garde directors such as Jean-Luc Godard, Akira Kurosawa, Wim Wenders and Godfrey Reggio. Four films produced by American Zoetrope are included in the American Film Institute's Top 100 Films. American Zoetrope-produced films have received 15 Academy Awards and 68 nominations. Initially located in a warehouse on Folsom Street, the company's headquarters have since 1972 been in the historic Sentinel Building, at 916 Kearny Street in San Francisco's North Beach neighbourhood. Coppola named the studio after a zoetrope he was given in the late 1960s by the filmmaker and collector of early film devices, Mogens Skot-Hansen. "Zoetrope" is also the name by which Coppola's quarterly fiction magazine, Zoetrope: All-Story, is often known. 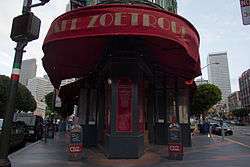 American Zoetrope is now owned entirely by Coppola's son and daughter, directors Roman Coppola and Sofia Coppola. It also administers the Zoetrope Virtual Studio, a complete motion picture production studio for members only. Launched in June 2000 after more than four years work, it brings together departments for screenwriters, directors, producers and other filmmaker artists, plus new departments for other creative endeavours, offering e-collaborative tools. 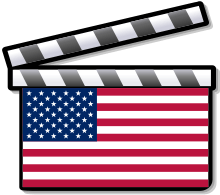 Filmmaker members can workshop a wide range of film arts, including music, graphics, design and film & video. In the building lobby Coppola operates a small Italian café, Cafe Zoetrope, featuring Inglenook Estate wine and memorabilia from his films. The neighborhood is well known for its cafes and its writers. Coppola wrote much of the screenplay for The Godfather in the nearby Caffe Trieste and Lawrence Ferlinghetti's City Lights Books is located across the street from the Sentinel Building. ↑ Fog City Mavericks. Starz, Englewood, CO, USA. June 15, 2011. Television. ↑ "American Zoetrope: Films". www.zoetrope.com. Retrieved 2016-05-21. ↑ Coppola stated this in an interview with Harry Knowles for Ain't It Cool News published on May 8, 2007. 1 2 3 4 5 6 7 8 9 10 11 12 13 14 15 16 17 18 19 20 21 22 23 24 25 26 27 28 29 30 31 32 33 34 35 36 37 38 39 40 41 42 43 44 45 46 47 48 49 50 "American Zoetrope: Films", zoetrope.com. Retrieved 2012-10-24.